You have received a Gift Certificate! To redeem this gift certificate, please follow the link below. A simple customer account is needed to redeem your certificate because our shopping cart manages gift credit by storing it in accounts. We never share information with third parties, nor do we ever send unsolicited email. This email address was given to us by you or by one of our customers. Please report to info@astralisproductions.com if you have received this email in error. This is a great way to give the digital download as a gift. 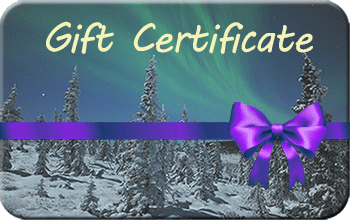 You can purchase gift credit for any amount by adding several gift certificates. The total amount is stored in a customer account you create during checkout, and after payment you can email customized gift certificates of any value until you have spent all your gift credit (click button below to see gift email preview). Your recipients can then redeem the gift certificate on this website to claim the gift. Unused gift credit doesn't expire and can be refunded. Buying gift certificates requires you to create a customer account. Likewise, recipients need to create an account when redeeming them. This is (unfortunately) needed because our shopping cart manages gift certificates by storing them in accounts. The recipient will be asked for minimal info to create the account, and we never share information with third parties, nor will we ever send unsolicited email.